I love learning about charities and trying to do my best to contribute to others when I can. I feel it is our duty as healthy people to give to those who can benefit from research or equipment that can allow them to overcome or assist with their illnesses or disabilities. I am so blessed to be a healthy individual, and my heart breaks for those who suffer daily. I know God has a plan for everyone, however, I also know these children, adults, and families need assistance in any way possible. It is also important to educate ourselves on the various illnesses and disabilities to be able to make an educated donation. Last month was career day at our school. My students rotated through different classrooms to learn about three different career paths from the various presenters. Our last presenter was Mr. Alan Brown, a motivational speaker and the director of public impact for the Christopher and Dana Reeve Foundation. “The Reeve Foundation is dedicated to curing spinal cord injury by funding innovative research, and improving the quality of life for people living with paralysis through grants, information and advocacy” (Christopherreeve.org). As soon as my students walked in, I could tell they hesitated as to what to expect from this presentation. For some reason, most kids see a chair attached to wheels, and view this ‘contraption’ as something strange. 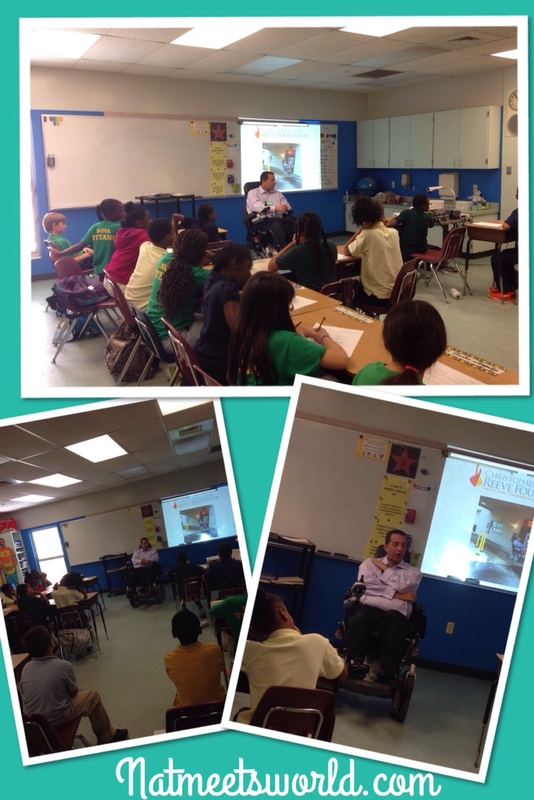 It can be hard for kids to adjust and understand that the individuals sitting in those wheelchairs are just like you and I.
Mr. Brown began by explaining his role in the Christopher and Dana Reeve Foundation, and then spoke about his injury that caused him to be paralyzed. There wasn’t a single student that wasn’t focused on his speech. 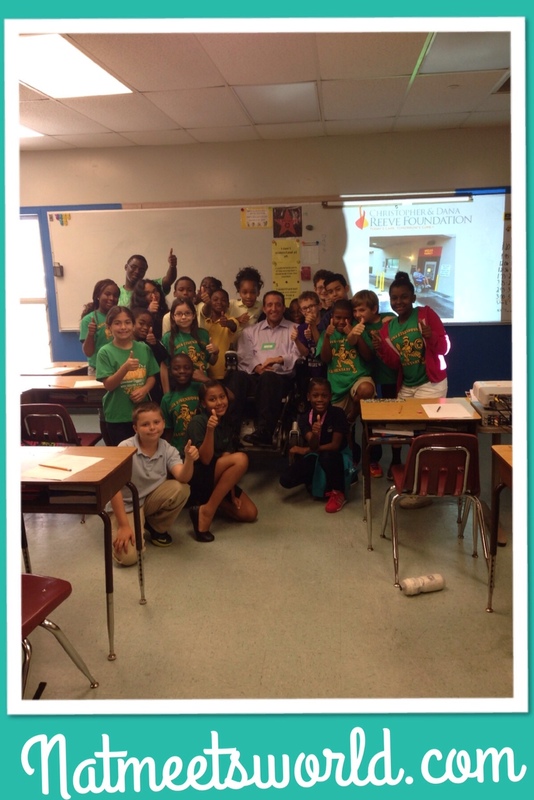 I was amazed at how much they wanted to know about Mr. Brown’s life. He continued with his slideshow presentation to show how people on wheelchairs can also do ordinary (and some gutsy) activities. Can you believe he has gone sky-diving, swims every morning, and has participated in marathons?! I don’t know who was more naive about disabled people, myself or my students. After the presentation, my little love bugs were asking all kinds of questions and were more aware of people in wheel chairs. Mr. Brown currently uses a ‘wheel chair on hydraulics’ (as he puts it) that is unfortunately very difficult (due to its expense of $25,000.00) for others with his condition to own. He is currently working on attempting to change this for others. At the end of the presentation, my students were more aware of disabled patients, and were more open to helping and accepting them like normal human beings. They were less ‘afraid’ of interacting with others in wheel chairs. I could tell by the smiles on their faces that they were truly touched. Mr. Brown’s presentation was truly inspiring and enlightening for my students and I, and it was so refreshing to see someone who thinks so positively about life. 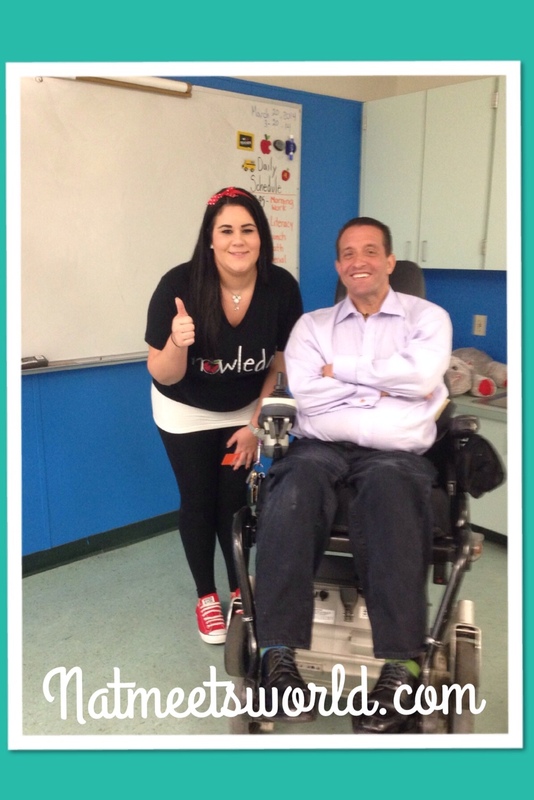 He does not let his disability hold him back from anything, which was also a great inspiration for my students. All of my little love bugs received this Superman dog tag necklace. They loved it! 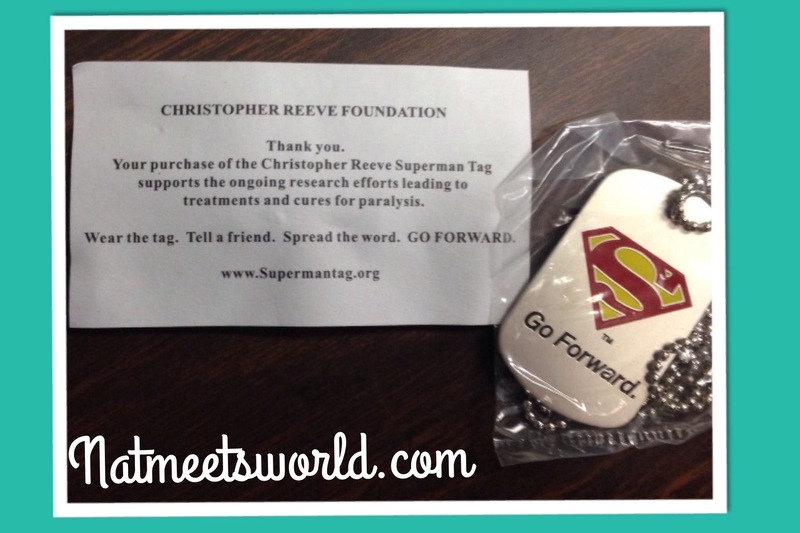 If you would like to learn more about this amazing organization, click here to learn more about events, research, and ways to donate to the Christopher and Dana Reeve Foundation. I would love to see patients with paralysis be able to own one of these amazing wheel chairs.